This guy rocked the show world during his stellar career. 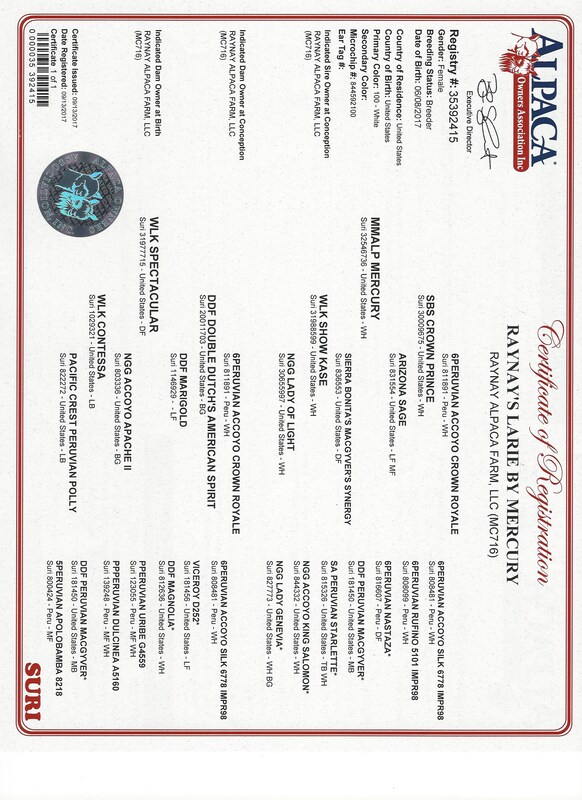 Mercury has it all. The lock, luster, and density combined with an awesome conformation and laid back disposition! 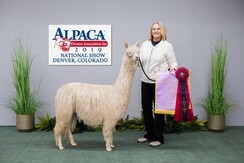 Sired by the one and only Crown Prince (Crown Royal Son) 3 x Judges' Choice winner. 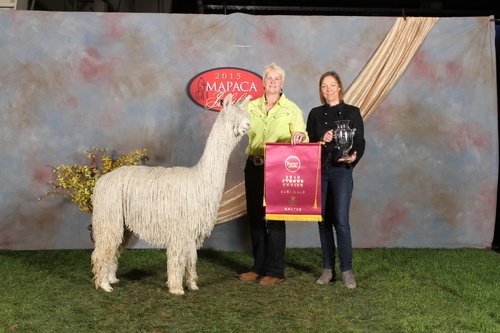 Mercury will have his first cria hit the ground late Summer 2016. Closed for outside breedings. 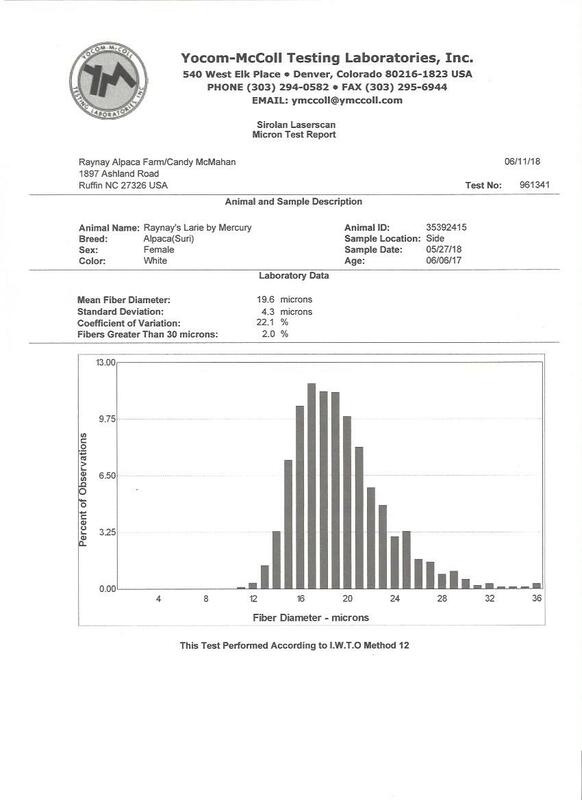 At 4 years of age he is maintaining a 18.4 micron count from his histogram submitted May 2, 2017. 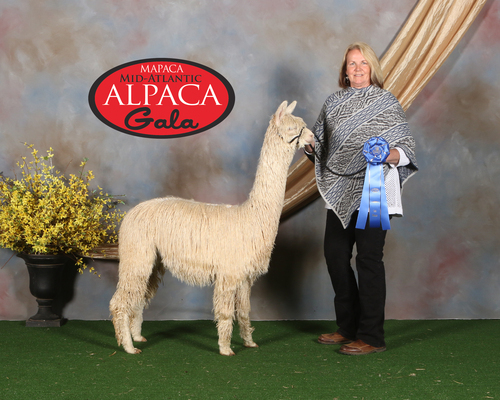 First two halter shows of her career and two purple banners! Larie is Spectacular in every way. 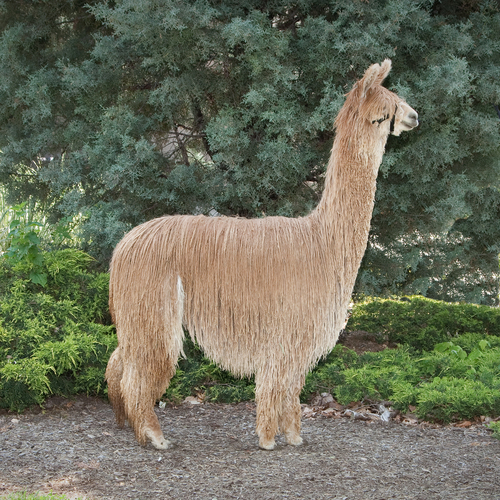 She has soft handling fleece that is consistent front to back on a very well built frame. 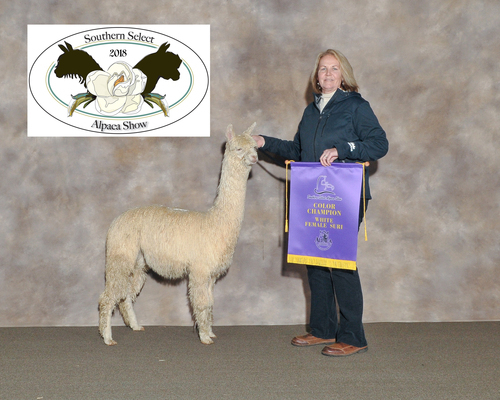 Her dam was a 5 X Judge's Choice and her sire was a 3 X Judge's Choice. Her maternal Brother, Spectacular Bid was a 9 X Banner Winner and her sister, Stella was a Judge's Choice recipient. All of Spectacular's offspring have had successful show careers and are now residing at alpaca ranches coast to coast as foundation females and herdsires. Larie's lineage is loaded to the hilt......Crown Prince, Crown Royal, Double Dutch and Apache! 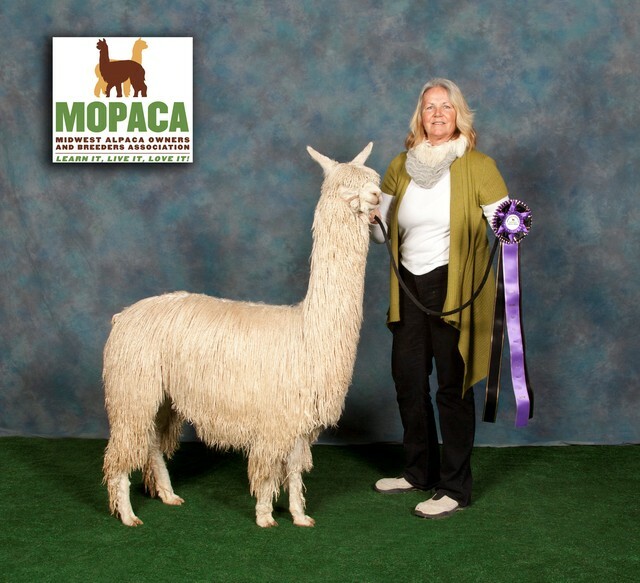 This is a girl you can count on to elevate your suri herd to the next level.